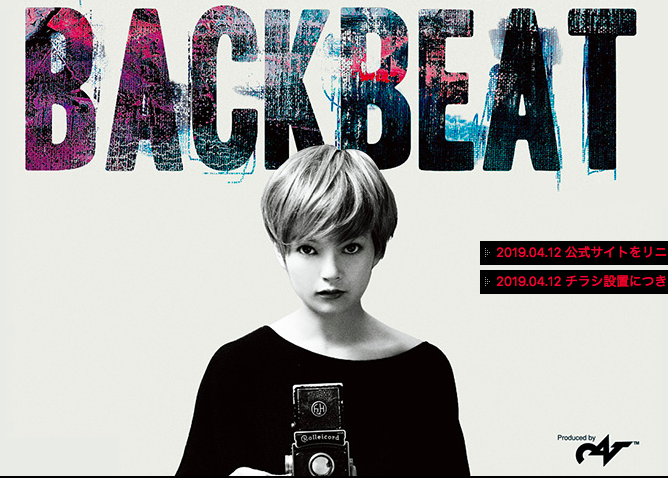 “BACKBEAT” is the dramatization of Hamburg, Germany phase of The Beatles’ early history directed by Iain Softley and the Japanese version of the stage production will be directed by Sachiko Ishimaru and music will be directed by Daisuke Mori. The musical is spotlighted In the early year of The Beatles, and the friend ship between the original bass player, Stuart Sutcliff, who is John Lennon’s art-scholl buddy and gifted youg painter who abandoned the group for art and the love of Astrid Kirchherr, the photographer who took some famous moody shots of the band and originally styled their mop-headed, collarless look. It will be premiered in Tokyo on May 25th followed by the national tour in June.